“Mortadelo y Filemón, The Miusical”, the musical produced by Zebra Producciones and Mucho Ruido Records, will premiere next 11th July at the Campoamor Theatre in Oviedo. It will be performed four days in Oviedo until Sunday 14th July and will arrive at the Tívoli Theatre in Barcelona on 4th September. Produced by José Velasco and directed by Ricard Reguant, the plot tells us how Mortadelo and Filemón (Jacobo Dicenta and Juan Carlos Martín) are hired to cover the security regarding the premiere of the play “El Fantoche de la Opereta” to avoid the villain, Todoquisque, from kidnapping the guests. 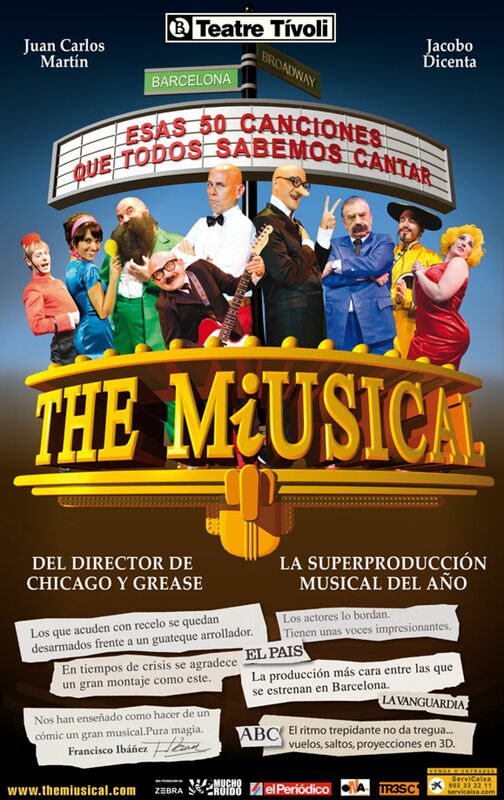 The show includes over fifty musical tracks from the 60s and 70s, with “Black is Black”, “Singing in the Rain” or “El baúl de los recuerdos” standing out among others.